This book is brilliantly written by Liane Moriarty, who is the author of six internationally best-selling novels. The genre of book is women's fiction and mystery. The writing is fantastic, an honest, detailed, observant and multi-sided and the story keeps you guessing right up until the end. The story has a large cast of characters but mainly focuses on three women's lives, Madeline, Jane, and Celeste. Their lives are connected to each other, but they don't realize it at first. Each one has a different point of view regarding the murder on Trivia Night. The annual night of Trivia at Pirriwee School had always been a peaceful affair every year. It accommodates children of different economic backgrounds including rich, poor and bossy power moms. Jane, moves to town, to enroll her five-year-old boy, Ziggy, at Pirriwee School. She meets Madeline, one of the confident mothers and soon she is included in her friend's circle. Later on, Madeline introduces Jane and Celeste, whose twin sons were attending Pirriwee Public. Jane's son was accused of bullying Amabella, the daughter of a rich high-powered mother before the school even formally begins. The battle lines appeared between two groups of mothers, one that already ruled the school and other, the new moms and their friends. At the end of the night, one parent was dead. As police were investigating that what appears to have been a tragic accident, the signs begin indicating that it might have been a cold-blooded murder. The book contains some explicit content which makes this book for adults only. A "juicy drama" well worth reading. "Amabella surveyed the line of boys and pointed at the little gangster kid as he tried to choke me, but then for some reason the teacher was putting her hand on Ziggy's shoulder, and the little girl was nodding, and Ziggy was shaking his head. 'It wasn't me!' 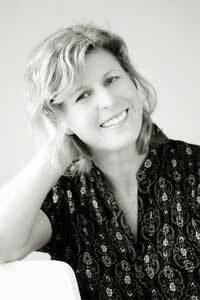 "
Liane Moriarty is the Australian author of six internationally best-selling novels, including Three Wishes, The Last Anniversary, What Alice Forgot, The Hypnotist's Love Story and the number 1 New York Times bestsellers, The Husband's Secret and Big Little Lies. 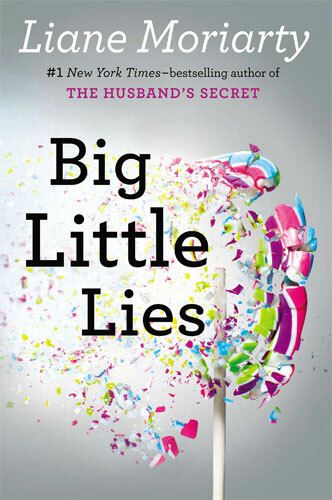 With the launch of her most recent novel, Big Little Lies, Liane became the first Australian author to have a novel debut at number one on the New York Times bestseller list. Film and television rights have already been snapped up by Nicole Kidman and Reese Witherspoon. She connects with her readers on her website and on social media.